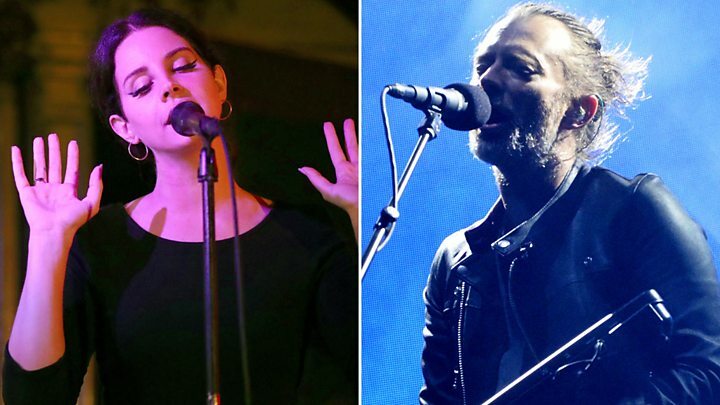 Another year, another music industry lawsuit, as Radiohead prepare to reportedly see Lana Del Rey in Court, suing the singer for allegedly ripping off their breakthrough single, Creep. The British band are widely reported to be taking action over similarities between that track and ‘Get Free’, the closing track of Del Rey’s 2017 album Lust For Life. Lana Del ray tweeted earlier in the week: “It’s true about the lawsuit. Although I know my song wasn’t inspired by Creep, Radiohead feel it was and want 100% of the publishing”. The singer added that she had offered the band 40% of the publishing but that lawyers had been “relentless” (as lawyers tend to be in these matters). The plot thickened yesterday when Radiohead publisher Warner / Chappell issued a statement denying the lawsuit but confirming they are seeking writing credits, with a spokesperson saying: “As Radiohead’s music publisher, it’s true that we’ve been in discussions since August of last year with Lana Del Rey’s representatives. It’s clear that the verses of ‘Get Free’ use musical elements found in the verses of ‘Creep’ and we’ve requested that this be acknowledged in favour of all writers of ‘Creep’. To set the record straight, no lawsuit has been issued and Radiohead have not said they “will only accept 100%” of the publishing of ‘Get Free’”. Creep has an interesting history, as Radiohead themselves were successfully sued by The Hollies over Creep’s similarities to ‘The Air That I Breathe’. Subsequently, Albert Hammond and Mike Hazlewood are listed as co-writers and share royalties on the track. Its the latest in a string of similar lawsuits, including Ed Sheeran settling out of court with other songwriters after similarities were found between his song Photograph and X Factor winner Matt Cardle’s song ‘Amazing’. As widely reported, Robin Thicke and Pharrell Williams were successfully sued in 2015 by the estate of Marvin Gaye in for $7.4m, after a jury ruled that Blurred Lines plagiarised Gaye’s track Got to Give It Up. Whether intentional or not, there are only so many chord progressions and song structures in the world but at least this is all keeping music industry lawyers and musicologists in business.